Tyrannosaurus rex is quite possibly the most well-known species of an extinct animal, being familiar to both scientists and the general public. It has been depicted in several Hollywood movies, and despite not being considered anymore the largest known carnivorous dinosaur of all time (Spinosaurus aegypticus and Carcharodontosaurus saharicus could get bigger), T-rex certainly remains as the most famous and one of the most well-studied animals that ever lived. However, what most people who are not vertebrate paleontologists are unaware of is the fact that T-rex was part of a much larger family of terrible lizards (Tyrannosauroidea) that inhabited mostly of what is nowadays the northern hemisphere (landmasses that once formed the supercontinent of Laurasia). Even among vertebrate paleontologists, not much was known about the evolution of this incredible group of animals in other parts of the planet. Although tyrannosauroid fossils were exclusively known from the northern hemisphere, in the last two decades some new fossil findings challenged the idea that this group never reached southern continents (that once formed the supercontinent of Gondwana). In 1999, a new small theropod dinosaur called Santanaraptor placidus (Fig. 1) was described from the Early Cretaceous of Brazil by Dr. Alexander Kellner. It had already attracted worldwide attention in 1996 with a paper in Nature when parts of this fossil were found to contain fossilized soft tissue remains, including blood vessels and muscle tissues. Later, in 2004, it was proposed in a book chapter that Santanaraptor represented a tyrannosaurid… Therefore representing the first one from Gondwana. Later, additional studies indicated that not only Santanaraptor, but perhaps an Australian species named Timimus hermani, could also be a close relative to T-rex in Gondwana. Figure 1. Fossil of one of the feet of Santanaraptor (left, picture provided by R. Delcourt) and a skeleton reconstruction of Santanaraptor in the National Museum of Brazil (source: Wikipedia). 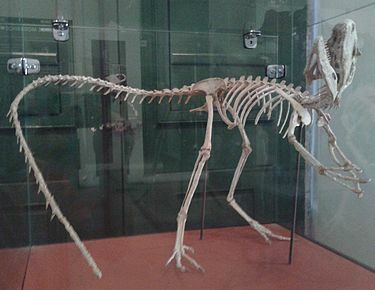 In a recently published paper, Rafael Delcourt (Trinity College Dublin) and Orlando Grillo (National Museum of Brazil/Federal University of Rio de Janeiro) decided to tackle this problem by utilizing different data sets and their personally collected data on the type specimen of Santanaraptor placidus. They updated and revised data sets to assess evolutionary relationships of the T-rex family in order to answer fundamental questions, such as: how were tyrannosauroids related to each other? Which parts of the world did they inhabit? And how did they move around those regions during the Mesozoic? Their results indicate some ambiguity concerning the Australian species (Timimus) but they found incredible agreement among their results concerning the placement of Santanaraptor as one of the earliest evolving members of the T-rex family. Not only tyrannosauroids inhabited the southern hemisphere, but they were represented by a relatively “primitive” member of that family! The researchers were then faced with a big question: how did tyrannosauroids get to South America? Figure 2. 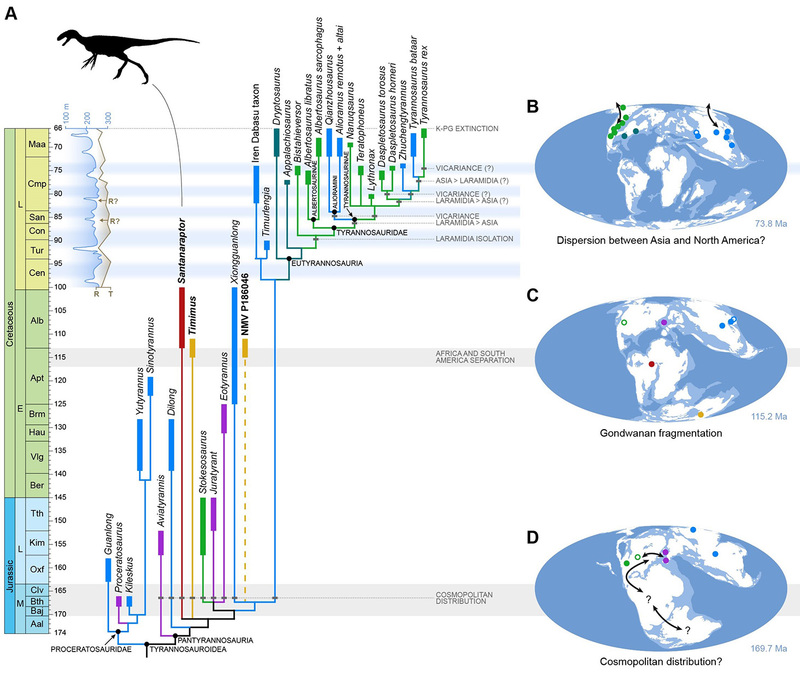 Evolutionary tree of tyrannosauroids (Delcourt & Grillo 2018). When Santanaraptor was alive, South America did not have a direct land connection (or at a least permanent one) to the northern continents. Tracing back in time the evolutionary lineage that leads to Santanaraptor and its closest relatives, the authors estimated that those lineages diverged several million years before the time of Santanaraptor, back in the Middle Jurassic. At that point in time, all major landmasses comprising the two major continents of Gondwana and Laurasia were closer together. Therefore, they proposed that tyrannosauroids could be distributed worldwide by the end of the Jurassic, explaining how they reached down to South America, and possibly Australia. Still, one striking question remains: where are all the other fossils of T-rex relatives in Gondwana, or at least in South America? There are two plausible explanations. The first one (biological) suggests that tyrannosauroids were never very diverse in Gondwanan continents, making their fossils more difficult to find compared to other dinosaurs living in the same areas. The second explanation is that there is simply not enough research conducted in parts of Gondwana where tyrannosauroids inhabited. It is important to understand that even if there is a biological explanation for the paucity of tyrannosauroids in Gondwana, significantly more paleontological fieldwork could be conducted in several unexplored parts of South America, Africa, Australia and, although with greater difficulty, Antarctica. 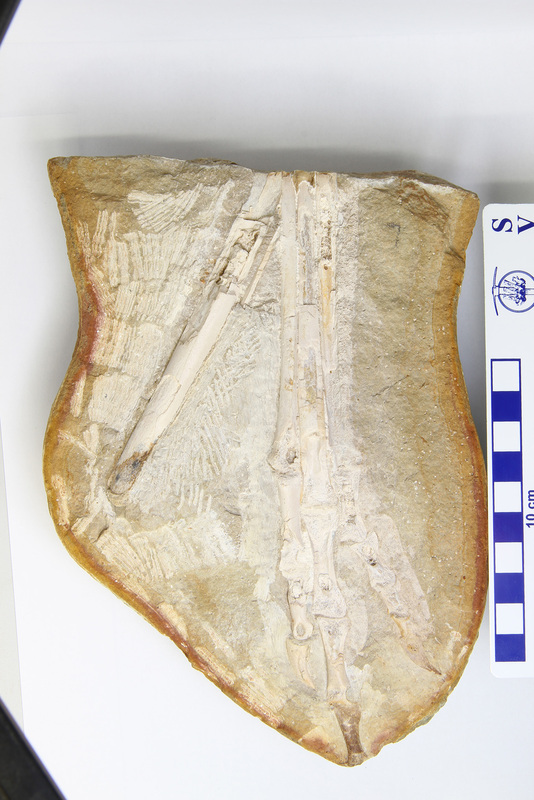 Additional fieldwork effort is especially important now that one of the largest paleontological collections in Latin America were affected by the fire that destroyed a significant part of the National Museum of Brazil. Tragically, it was in this collection that the holotype and only known specimens of Santanaraptor were housed, meaning that we could have lost forever this incredible species and the only unquestionable member of the T-rex family tree in the southern hemisphere. I believe that the case of Santanaraptor illustrates quite well the scientific value of paleontological collections and how much valuable information may be lost by the lack of government investment in public scientific institutions that, in turn, leads to the absence of the necessary infrastructure that could have prevented tragedies such as this. Like Rafael and Orlando, I am a proud alumnus of the National Museum of Brazil, and it is impossible to describe how much this event shocked and devastated all of those who dedicated their lives to expand the museum collections, conduct research, teach, create exhibitions, and to keep it safe and clean despite limited resources. Some of our colleagues did these for decades. We can only hope for a brighter future for Brazilian science, where the value of our scientific and historical resources is recognized by policymakers.